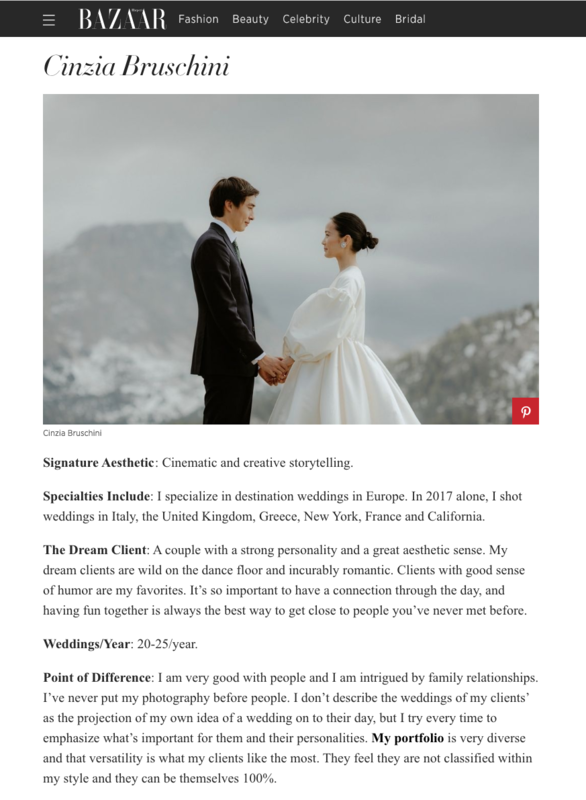 We’re so honored to be named one of the Top Wedding Photographers in the World by Harper Bazaar. You can see the article Here. The best way to start this 2018 ! CINZIA BRUSCHINI PHOTOGRAPHY © 2019 — ALL RIGHTS RESERVED.